What’s Happening in Napa Valley Now? There never seems to be enough time to do all that Napa Valley offers. All the special events, food and wine, farmers markets, festivals, a Napa balloon ride, culture and music, and more will wreak havoc on any well-disciplined planner. 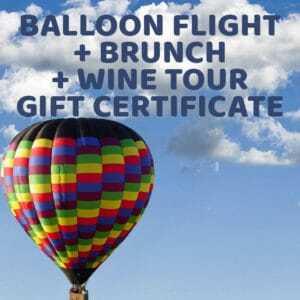 To indeed experience the most of your Napa Valley visit, begin by just “going with the wind” on a beautifully planned Napa Balloon Ride, followed by an award-winning champagne brunch, and a professional wine tour. This best Napa balloon ride is presented by Balloons Above the Valley. Napa Valley Is Alive and Well! Party On! Plenty of attention was rightfully given last year’s tragic fires. According to a Los Angeles Magazine article later, only 20 of the 275 wineries reported damage. The grapes of 2017 had been harvested, crushed and placed in tanks by the time the fires started. In the end, few of the vines were damaged and wine country has stood strong. With the arrival of spring, Napa Valley is as green as ever and the Excitement Calendar is filling up. Here are a few highlights of the hundreds of activities of the coming months. Take a look at some April events and make sure to also include a Napa Balloon ride in your itinerary. Springtime is a beautiful time to visit Napa Valley. The vines and plants are returning to life and the weather is perfect. Watch Nature come alive as you hike through the trails of Skyline Park. Enjoy the native plants as you stroll the pathways and breathe the fresh air. Attention avid bicyclists and walkers. Head to the Napa Valley Vine Trail where the 12.5-mile segment (eventually 47 miles) from South Napa to Yountville has been completed. Exciting community events will be held here in March and April. April 7-8 – Engage Art Fair “Arts in April” at the Napa County Association will present 11,000 square feet of eclectic arts and crafts. April 8- Andre, The Voice of Wine at the Napa Valley Performing Arts Center at Lincoln Theater presents the cinematic story of the renowned world-class vintner, Andre Tchelistcheff. April 14-15- Emergence Festival at Napa Valley College Performing Arts Center presents Napa Valley College students projects in drama, dance, and music. April 15- Art as Meditation at the Center for Spiritual Living invites artists and novices to produce art without concern for the results. Note to All Wine Lovers: Each Friday until April 27, the Napa Valley Welcome Center hosts featured vintner tastings, an event not to be missed. Napa Valley residents and businesses have already looked past the tragic blazes of the past year in their rearview mirror. Activities abound as springtime returns Napa Valley life to its usual tempo. A Napa balloon ride by Balloons Above the Valley is the perfect start to your visit. See it all from a different vantage point. Nothing is more revitalizing than a safe and exhilarating, breeze-carried balloon ride with Balloons Above the Valley. 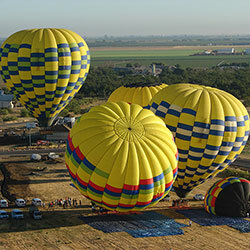 Check out our most popular flight option or explore the menu of balloon rides and make a Napa balloon ride reservation. 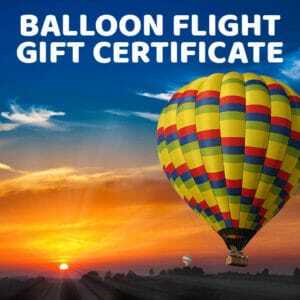 Alternatively, phone 800-464-6824 for your Napa balloon ride.